I am trying a new thing on Make It Rayne. Snappy product reviews! From now on I am going to try and keep quite a few of my product reviews short and sweet. Usually I waffle on for ages, but I am trying a little blog experiment so bear with me if you are one of those people who prefers the indepthness of the usual posts.. 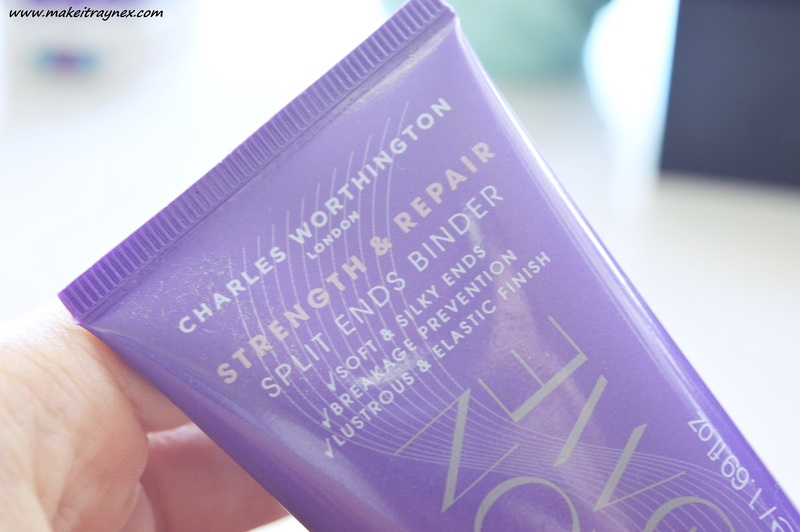 The Strength & Repair Split Ends Binder from Charles Worthington caught my eye with its name alone. I bought it without seeing it endorsed or reviewed, which is BIG for me, because I have awful split ends. Yes, I should go and get, like, 30cm chopped off and I’ll be alright, but no thanks. 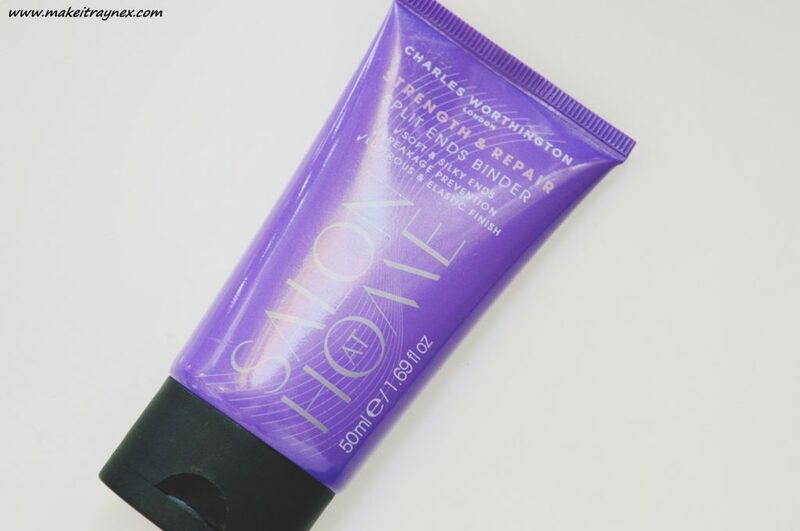 You will need to apply this to damp hair (if dry, it will get super oily feeling) before drying it with heat and you only need apply from mid-length to the ends. 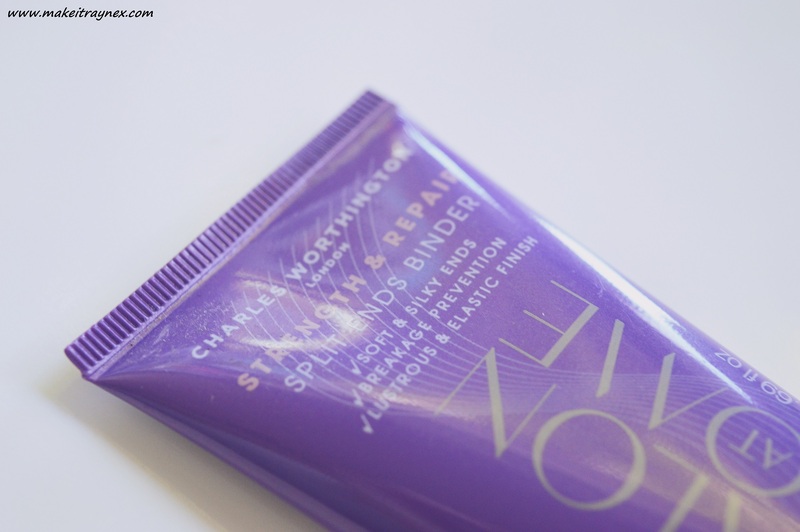 It claims to ” seal split ends, reduce the appearance of damaged hair and prevent hair breakage”. I am not so sure about the hair breakage part because I don’t struggle with that but it totally seals split ends! I can immediately spot a difference and, best of all, I can feel a difference at the ends of my hair when I use this product. It is also definitely more noticeable if my hair is straightened and it leaves it feeling really sleek and taken care of. The tube is only a small 50ml tube, but you really do not need much. Usually this is a bonus, but, seeing as I use triple the average amount, not so much.. I use mine sooo sparingly because it is not always on stands. I bought this Split Ends Binder overseas in Boots but I do see it now and again in the hair aisle in Clicks and certain Charles Worthington item can be purchased from Takealot.com. Definitely consider picking one up – even if it is just for special occasions! Or even daily use if you have the moola… I know I would.